AP Eagers are one of Australia’s largest Dealer Groups with locations all over the country. Across the group there are a number of Dealer Management Systems used which provides a number of challenges in relation to aggregating data for analysis and marketing. Collecting, aggregating & de-duplicating data from these systems into a Single Customer View is considered on the top priorities for companies looking to take advantage with “Big Data”. AP Eagers in conjunction with Vital Software are one of the first major dealer groups in Australia to launch their “Black Box” a purely Single Customer View that provides full visibility of their clients across the dealer network. The Centralised Database Project allows for AP Eagers to aggregate data from each of their dealerships into one centralised database. Vital Software works closely with AP Eagers to deliver custom data driven solutions. 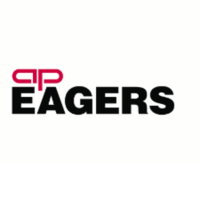 We are continuing to work with AP Eagers on further enhancements to their single customer view and are excited for future developments to assist in driving dealer profitability and customer satisfaction.